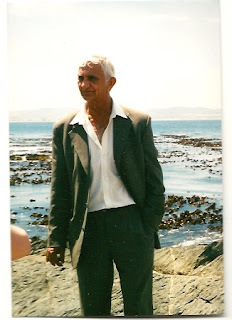 This article was originally published on June 13, 2008 for a now defunct travel website and entitled, Robben Island: From the Ashes of Apartheid, a Monument to the Human Spirit. On a trip to Cape Town, I visited the island and the cell where Nelson Mandela had been imprisoned. He was released on February 11, 1990 and four years later became the first black president of South Africa (1994-1999). I wrote this article the same year of a presidential election that would make history, as the United States elected our first black president. The election of a black president, I’m sad to say, was something that I didn’t believe was even possible in the United States. Eight years later, race is still a volatile issue, and law and justice can still be determined based upon the color of your skin. I was walking with a group of journalists to the Nelson Mandela Gateway at the Victoria & Alfred Waterfront. Across the bay was the notorious Robben Island. The Gateway was officially opened by former South African President Nelson Mandela on December 1, 2001. With multimedia exhibits, an auditorium, restaurant, museum and shop, it serves as the embarkation point to Robben Island. 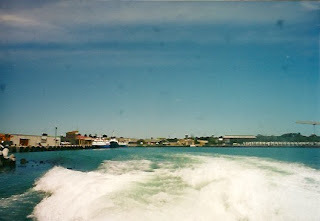 The tour begins with a half hour ferry ride across Table Bay. From a distance Robben Island looks like any island -- beautiful, in fact -- but the video of the island's history reminds you that most people who were en route saw no such beauty as they took this journey in shackles and chains. South African Airways had invited us on this visit to South Africa, to promote tourism to a country that for years has been seen as a pariah, and for good reason. After the end of apartheid many wanted Robben Island closed forever, but others saw it differently, viewing it as a "triumph of the human spirit." While we will not forget the brutality of apartheid, we will not want Robben Island to be a monument of our hardship and suffering. We would want it to be a triumph of the human spirit against the forces of evil; a triumph of wisdom and largeness of spirit against small minds and pettiness; a triumph of courage and determination over human frailty and weakness. For nearly 400 years, colonial and apartheid rulers banished political troublemakers, the sick and social outcasts to this rocky island. Slaves, political and religious Muslim leaders who opposed colonialism, African leaders who resisted British rule in South Africa -- all have left footprints upon the shores. During the 1800s it was a dumping ground for the sick. There were three hospitals for the chronically ill, leprosy sufferers and for the mentally disturbed. It was a military base in 1936, a military training center in the 1950s, and in 1961 the apartheid government opened it again as a prison. 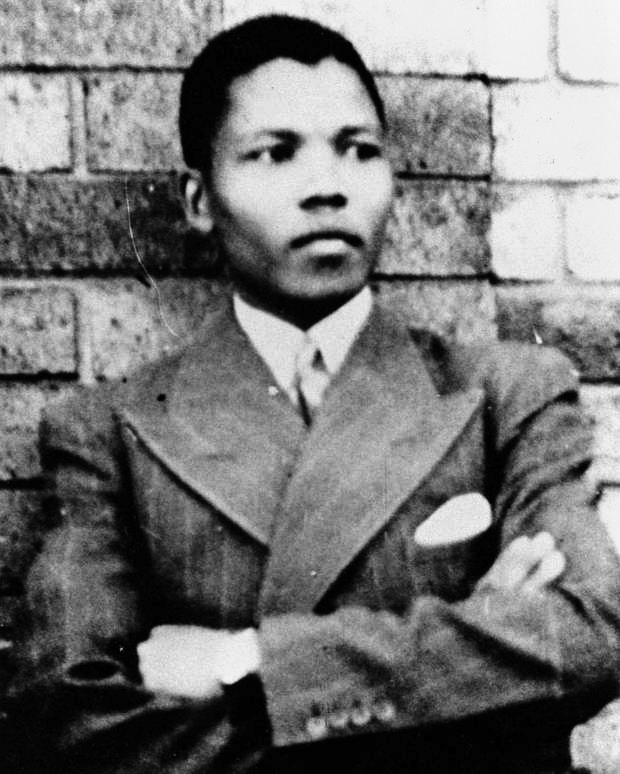 The Maximum Security Prison was known as the "hell-hole" of apartheid and described by Nelson Mandela as "the hardest, most iron-fisted outpost in the South African penal system." It was built by the prisoners, over graves from the leper period, using slate from the stone quarries in which they toiled. Former political prisoners now work as tour guides on the island. Our guide was Laloo Chiba, who seemed surprisingly serene to me -- a gentle, wise soul, the only hint of his ordeal reflected in haunted gray eyes. We followed him into the courtyard of B section where leaders of different groups were sent to be held in isolation in single cells, separated from the general prison population. Political prisoners who posed the greatest threat to the apartheid system like Mandela, Walter Sisulu, Ahmed Kathrada, amongst others, were banished here in an attempt to crush their ideas and break their spirit. We walked past 30 empty isolation cells of the B-section corridor, pausing at #5, the tiny cell of Nelson Mandela. 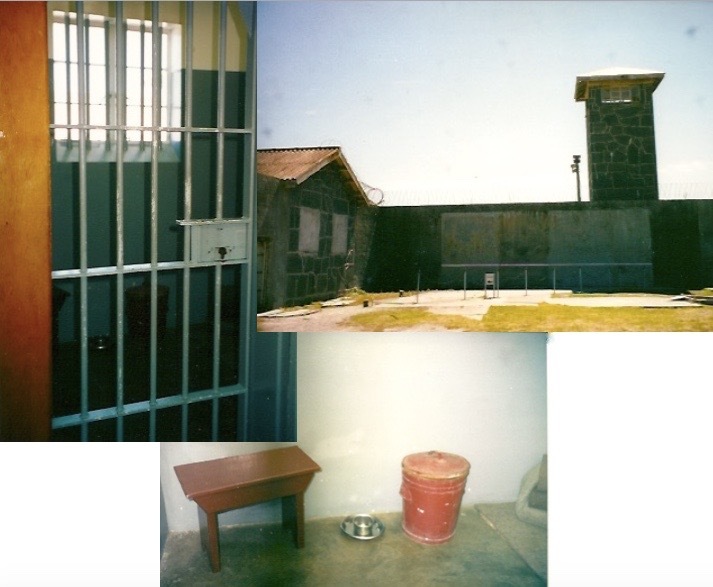 Mandela was moved from his original cell #7 to #5, which is the one shown to tourists and where he was held just before his release. Before his release, I still had the image of Mandela as a young, handsome man with a dark, shortly cropped Afro and a look of determination. I remember watching the news footage when he was freed, seeing an elderly gentleman with gray hair and frail, thin body . . . and I gasped. And I was so angry. His youth, his life, had been taken away from him. But they had not destroyed his spirit nor his sharp mind, and there was so much strength within him. And I did not hear words of anger come from him, nor from our quiet guide. Jaded by what I consider to be a slow process of racial relations in the States, I was stunned when Nelson Mandela was elected president and I wondered if I would ever be a witness to a black president in my own country. We moved on, taking a 45-minute bus tour of the island past the prison house of Robert Sobukwe, founder and leader of the Pan Africanist Congress, to the lime quarry, where prisoners toiled in the blinding, hot sun. Prisoners were not allowed to wear any protection for their skin or eyes. The glare of the sun on the limestone was damaging to the eyes, and when chemicals from the limestone came in contact with sweat, it burned the skin. But the lime quarry was where political prisoners mixed with other prisoners and where political education and communication amongst prisoners took place. We saw other buildings on the island and then were left to wander and reflect. I gazed at Cape Town across the bay. Turning back, in the distance, I could see bashful antelope keeping their distance. Even nature had responded to the island's rebirth. Life was flourishing again. On the way to the former prison, we had spotted a lone Cape Jackass Penguin, peering cautiously behind the brush as we passed. The Cape Jackass penguin, once abundant in the 17th century, had disappeared from the island due to human activity. In 1983 the penguins reestablished themselves as a breeding population, along with the African Oystercatcher, which, at one time, was on the list of endangered species. There are 74 bird species recorded on the island and small herds of rare South African bontebok, springbok, and European fallow deer. I am thinking about the U.S. presidential elections now. I hope that a vicious and divisive campaign will not be waged, with the different camps purposely placing negative spins on things that have nothing to do with the true issues and concerns of the American people. Will this election bring up old wounds and old hatreds? I wonder if one day we will see triumph of wisdom and largeness of spirit against small minds and pettiness.